-Puree’ the mango in the blender. -Blend all the crust ingredients in a food processor till they form a crumb. -In the base of your glass press the crust ingredients to about 1 cm thickness. -On top the the crust layer the coconut jam. -Next spoon over the Chia pudding. 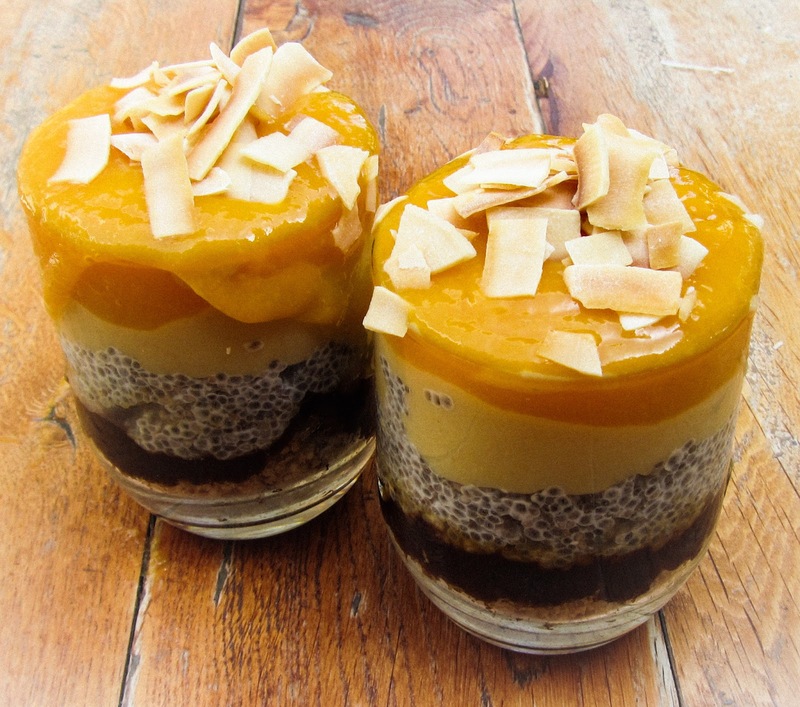 -Spread a generous layer of the Amazake on top of the chia. -Finally top the glass up with the puree’d mango and top with coconut chips.